Looking for a unique way to commemorate confirmation day? 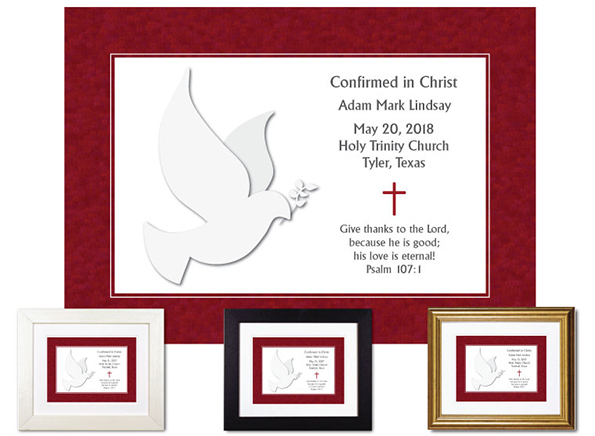 Browse our collection of personalized confirmation plaques! Each one is custom-created for the confirmand – and hand-finished using premium inks and paper along with museum quality matboard.